Theres been so much hype around soft pretzels lately, and really I can't complain! Homemade soft pretzels are one of the tastiest treats around and I welcome the trend with open arms. When perfected, they are blistery & crunchy on the outside, soft and chewy on the inside. They showcase the perfect blend of sweet and salty flavors, with a hint of tangy bitterness. 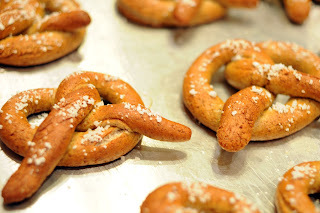 I've been making soft pretzels for a while, but recently my friend Justin recommended using Rye flour to add more depth to the recipe. I gave the Rye flour a shot, and although they had that delicious rye flavor, I found them to be denser than the traditional pretzels. If you want to add a rich, hearty rye flavor to your pretzel recipe, substitute 1 cup of rye flour for the white flour. Luckily for New Yorkers, this trend has homemade pretzels popping up all over the city. 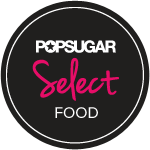 Sigmund Pretzel Shop makes the perfect pretzel, but when you can't get there, FOOD & WINE magazine has given you all the tips and tricks you need to create the perfect soft pretzel. Check it out here. 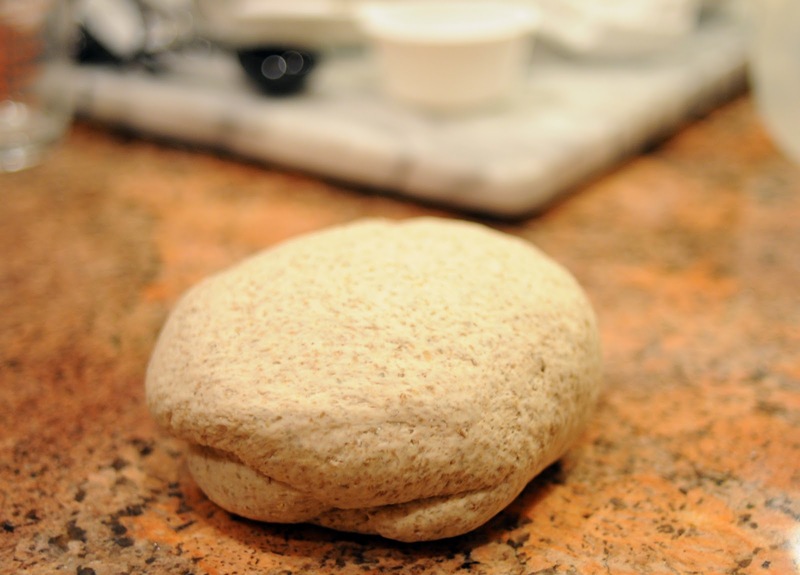 There's been some argument about using lye vs. baking soda. Obviously, if you can get your hands on lye, there is nothing better. 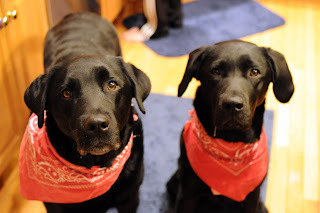 But, I used baking soda in this recipe and found that they were delicious! 1. In a medium sized bowl, empty the envelope of yeast. Add the 1 1/2 cups of warm water along with the brown sugar and swirl to dissolve the sugar. 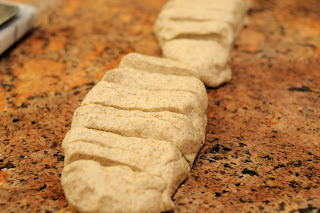 Add the flour and mix until incorporated and a firm dough forms. 2. Turn the dough out onto a lightly floured work surface and knead for 10 minutes. Cover with plastic and a damp cloth and let rest for 45 minutes to an hour. While the dough is rising, butter a large baking sheet and preheat the oven to 450 degrees. 3. Cut the dough into 12 equal pieces. Roll each piece of dough into a 15-inch-long rope. 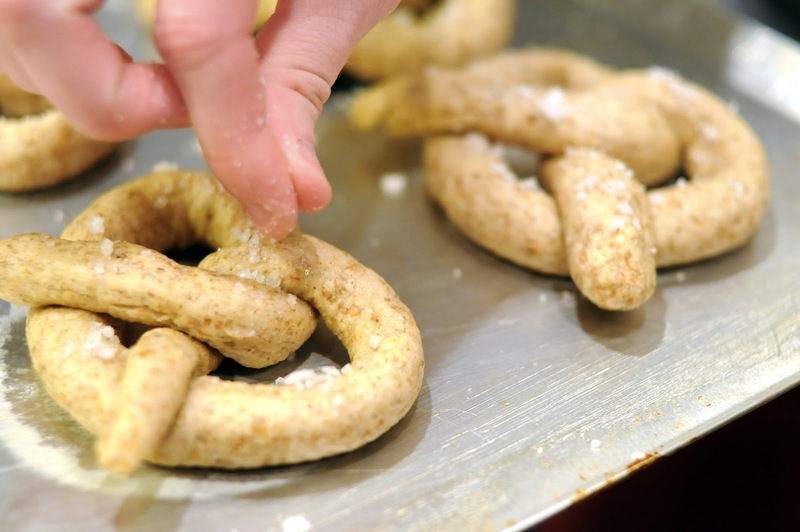 To form pretzels, shape each rope into a U; cross the two sides of the U over each other, twist and press the ends down on the pretzel. 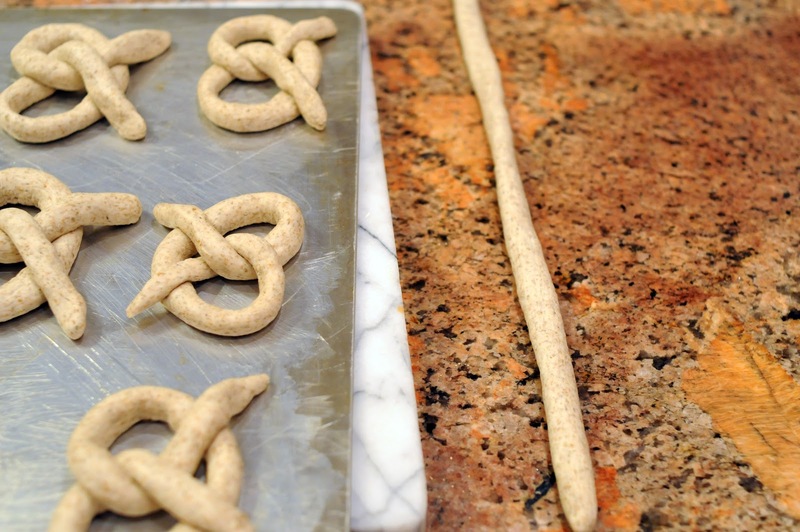 Arrange the pretzels on the buttered baking sheet about 1-inch apart. Let the pretzels rest for 15 minutes. 4. In a large stockpot, bring the water to a boil. Add the baking soda. Carefully slide 2 of the pretzels into the boiling water and boil for 30 seconds, turning once. 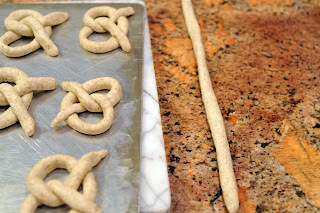 Using a slotted spoon, transfer the pretzels to paper towel to blot off any excess water. Transfer to the buttered baking sheet and sprinkle lightly with salt. Repeat with the remaining pretzels. 5. Bake on the upper rack of the oven for about 15 minutes, or until browned all over; Rotate the pan halfway through, for even baking. Serve warm or at room temperature, and don't forget the mustard!